There’s something about menopause that’s freeing. I’ve heard it from others. I feel it myself. So let that freedom, help free you even more! Take it up a few notches! 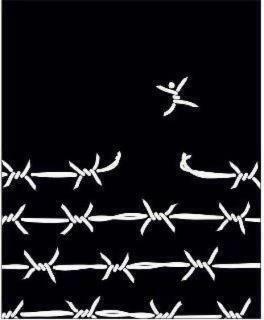 What’s the barbed wire in your life? What can you break free from? Feel the spring as you bounce off that wire and soar! Picture: Shout out to my friend Susan, who posted this neat graphic from Interested Engineering on her Facebook page. Susan and I and our friends Ann and Karen are gym friends. We spend meaningful minutes analyzing our lives (including what barbs hold us in) as we walk the treadmills. And I bet some of you have the same credo we do: What’s discussed at the gym, stays at the gym. A Story: A few summers ago, one of Susan’s daughter’s friends worked at the gym. She told Gwen in the fall, “Your mom and her friends sure talk about some interesting stuff.” Hmm. Since then, we try to analyze our lives in quieter voices.